Welcome to the SOTM Blog Hop! 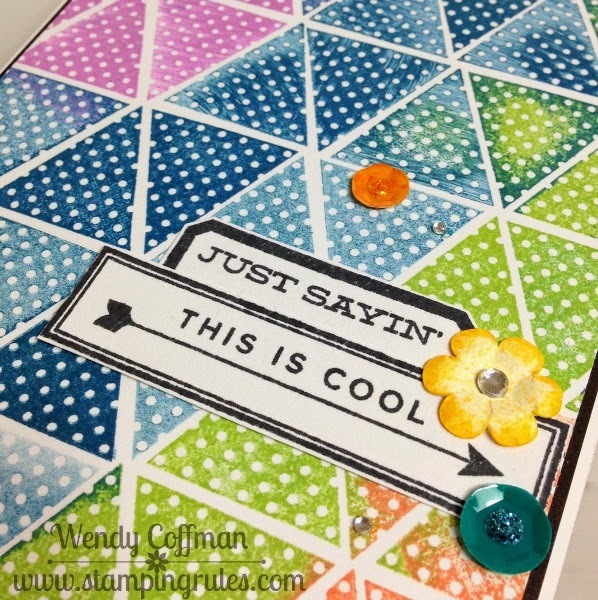 This month we are featuring May's SOTM called Just Sayin', a sweet and sassy set of 14 stamps. You might be arriving here from DANA'S BLOG. Let's hop! 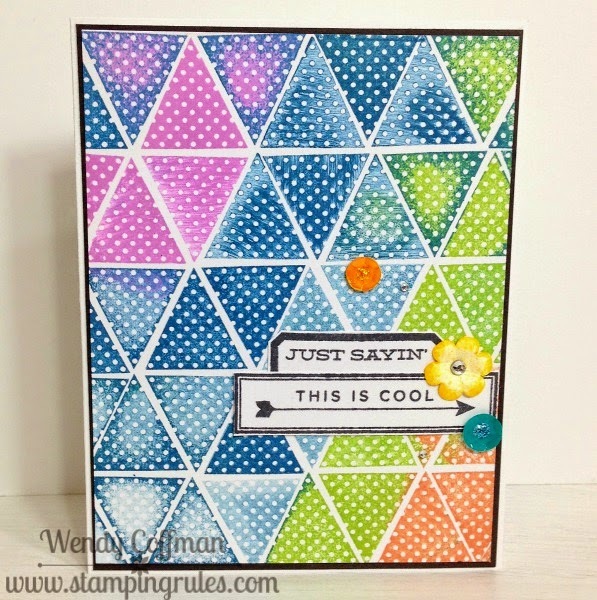 I loved the little patterned simple shape images included with all the sentiments in this set. For this card I made good use of the dotty triangle, inking and lining it up one image at a time. I didn't try to be too perfect with the lines, or the inking, as I like the contrast of the geometric card with the rustic stamping. I layered two of the sentiments for my focal point, stamped in crisp black ink on white cardstock. then I added an Art Philosophy cricut cut flower that I inked in Canary ink and shaped using my stylus and foam mat. The sequins are from the new Oceanside set. I used the teal sequin as is (with a dab of glitter gel in the center) and colored a grey sequin with a Shin Han marker to get my orange sequin. I finished up with a few sparkles. Don't forget that this stamp set is only available in May, so contact your consultant or click here to get yours ASAP! Next up on the hop is NIKKA'S BLOG. So cute! Love the rustic stamping! Very bright and fun! Love the pattern you created with color and shape. What a neat technique for creating a background! I love the near-tie-dye look! That is very cool!! Wendy, Great pattern and selection of colors!! Love what you did!! Wow, this is a really effective card! Jaw-dropping gorgeous amazing card! I love it! Really like the variety of colors.